Formula 1 World Championship is held every year. 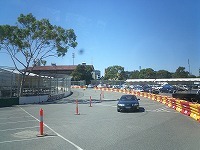 Melbourne city also has Formula 1 circuit inside the Albert Park for Australia GP since 1996. Usually this circuit course is uses for public road, and you can drive through the Formula 1 course by your car. 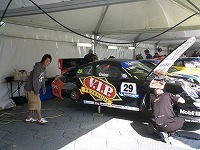 This time, I couldn’t join the main racing event day, so I just visited Albert Park for seeing a race qualifying. 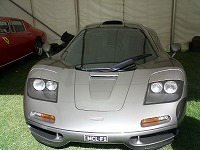 There are so many super cars are displayed. I tried to go into the Porsche garage too. 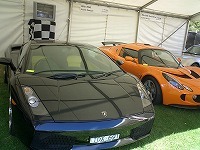 Lamborghini is also cool ! I’ve never experienced formula 1 in the racing circuit, so I didn’t know such super cars are displayed besides the circuit. And most impressive event is this one! I took picture with Mr. Jenson Button of BAR Honda driver! I already have bought two formula 1 pamphlets, so I got signatures from Jenson Button both of them, and I gave it to my parent one of them for the gift. I felt it is impudent, but I tried to ask Mr. Button to write “to MASA” bottom of the signature. But he was very kind and signed it with his smile. he is so cool ! We left Australia when just this Melbourne Grand prix were held, but I could experience a lot of things in qualifying event. There is a one thing I have to say to my parents. I went formula 1 event with truancy the school. (Of course I told to my teacher).